I absolutely love the bright, warm, vivid colors of fall. 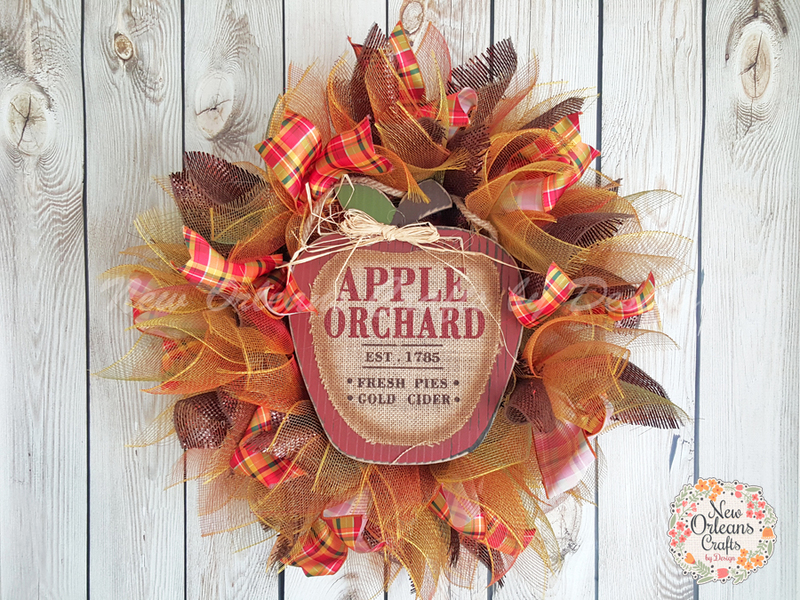 Unfortunately I live in South Louisiana so we really don't notice the color of the seasons other than green to brown. 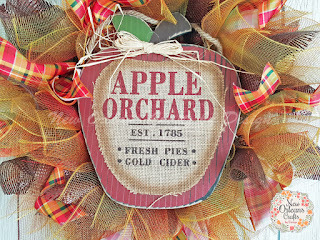 But, I still love the colors. The base of this wreath is a 12" wire wreath form. 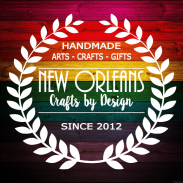 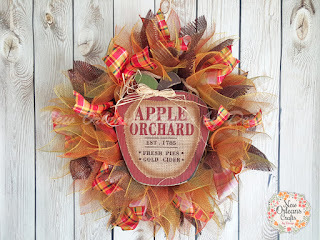 I used 5 different Fall Colored Deco Mesh: Browns, Reds, Oranges, Golds, and Moss Greens. 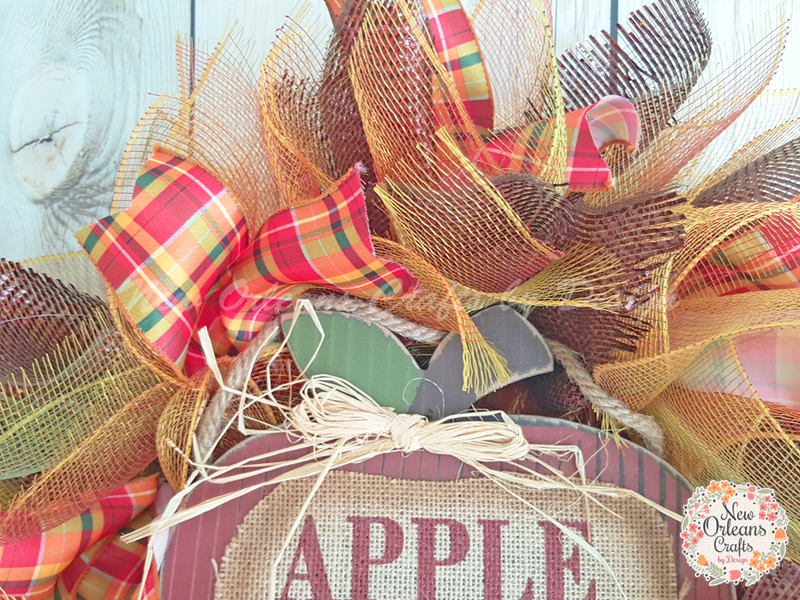 I also included a beautiful plaid Fall Ribbon. 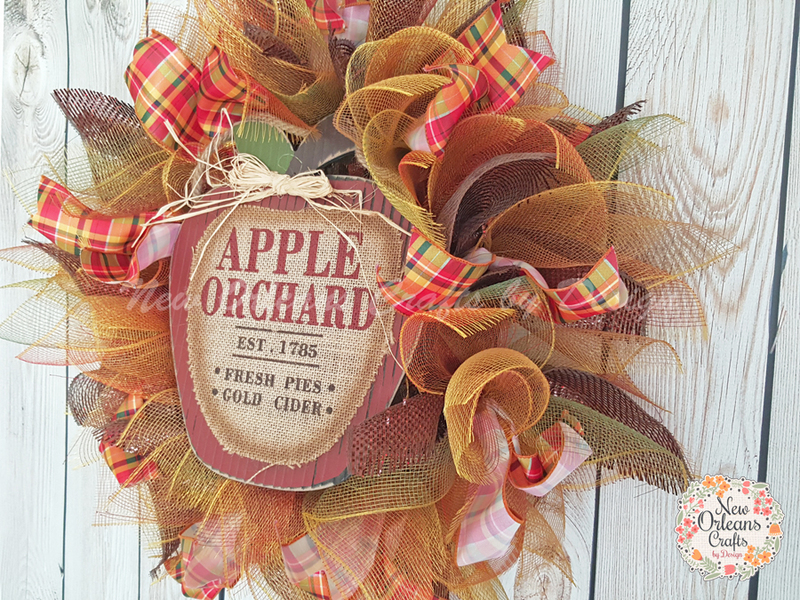 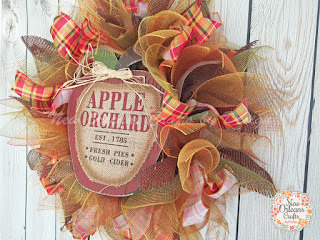 I added a wood Apple Orchard sign to the center of the wreath to bring it all together. 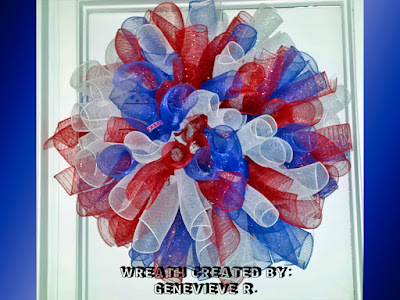 The completed wreath measures about 25" wide and 10" deep. 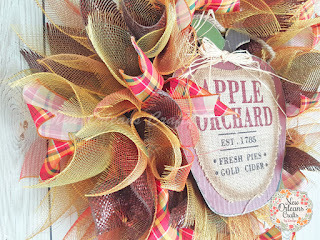 This is the perfect wreath to keep up through the Fall Season.